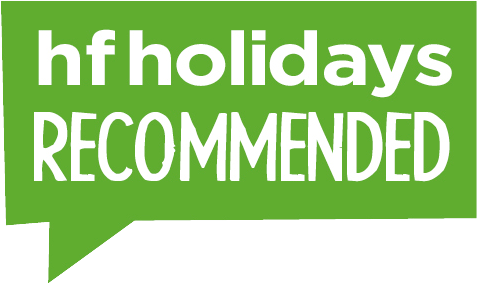 As official cycling partners of HF Holidays, here is our recommended range of tours which have been hand selected by ourselves with HFH in mind. Time to discover a great selection of cycling opportunities in destinations across the globe, including the UK, Europe and Further Afield. For those seeking a gentle introduction to a cycling holiday we recommend taking a look at our bike and boat tours where you can soak up traditional culture at a gentle pace, or why not choose a UK break based in one of HFH’s relaxing Country Houses? For those eager to kick things up a gear we have some great guided and supported holidays, popular tours include The Danube Cycle Path, Granada to Seville and Cuba. Or, if you prefer to cycle at your own pace we also have lots of incredible self-guided options to choose from too. 12 to 19 May - Explore Croatia’s best-kept secret! This cycling trip is perfect for those who want to see more of this sun-kissed country away from the crowds. Highlights include Rab, Dugi-Otok and Molat. Take a look at the full list of departures on our website! 21 to 28 Apr - Discover the lesser known part of Croatia that is full of hidden gems on the luxuries yacht! This premium bike holiday includes visits to Rab, Dugi-Otok and Molat. Go to our website to see the full list of departure dates! DON’T MISS OUT ON AN EARLY SEASON DISCOUNT IN 2019, FROM 29 MARCH TO 30 JUNE! NB: Price dependant on date of departure, see trip notes for further detail or give our friendly team a call. DON'T MISS OUT ON AN EARLY SEASON DISCOUNT IN 2019, FROM 20 APRIL TO 17 MAY. The perfect island escape. DON’T MISS OUT ON AN EARLY SEASON DISCOUNT IN 2019, FROM 15 FEBRUARY TO 31 MARCH! Enjoy the freedom to explore and ride at your own pace and be witness to beautiful and ancient landscapes of Provence. Discover 3 of Andalusia's historic hubs. DON’T MISS OUT ON AN EARLY SEASON DISCOUNT IN 2019, FROM 01 MARCH TO 04 APRIL! This region boasts vineyards and charming settlements, and the enchanting village of Santo Stefano di Roero and the beautiful town of Guarene will inspire you as you explore this destination by bike. Your chance to cycle through idyllic countryside in the heart of Europe. DON’T MISS OUT ON AN EARLY SEASON DISCOUNT FROM 20 APRIL TO 10 MAY 2019! Experience Italy's beauty on this fantastic cycling holiday. DON’T MISS OUT ON AN EARLY SEASON DISCOUNT in 2019, FROM 01 MAY TO 30 JUNE! DON’T MISS OUT ON AN EARLY SEASON DISCOUNT IN 2019, FROM 20 APRIL TO 10 MAY! Our centre-based family tour in Austria allows you to meander your way through lovely river valleys on bikes, with an ever-present Alpine backdrop. DON’T MISS OUT ON AN EARLY SEASON DISCOUNT IN 2019, FROM 20 APRIL TO 10 MAY!